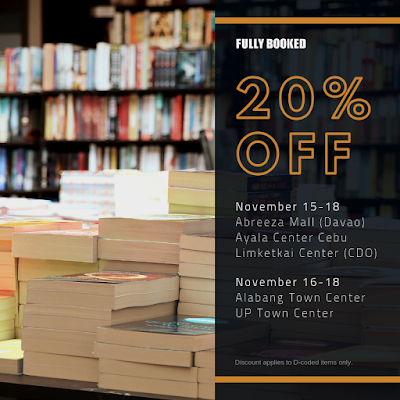 Check out Fully Booked Pre-Holiday Sale. Head over to Fully Booked branches at Limketkai Center, Alabang Town Center, UP Town Center, Ayala Center in Cebu, and Abreeza Mall Davao this weekend for some early Christmas shopping and give the gift of great reads at 20% off on D-Coded items! Sale runs until November 18, 2018.